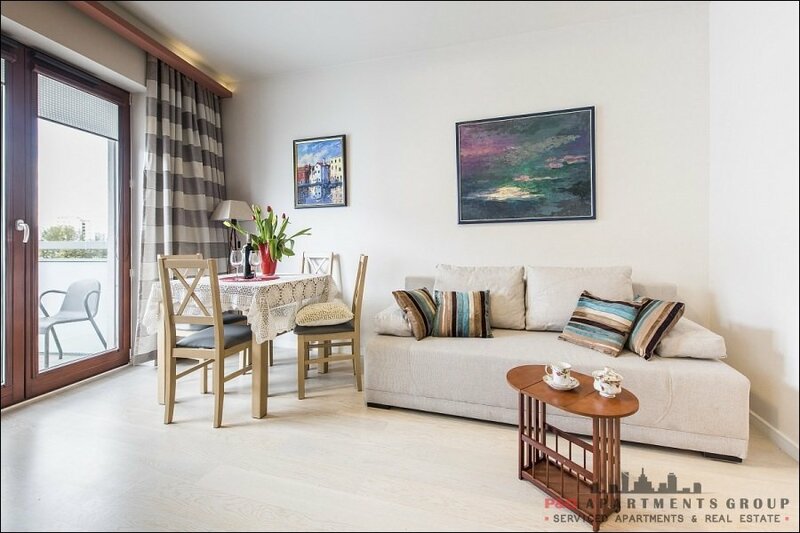 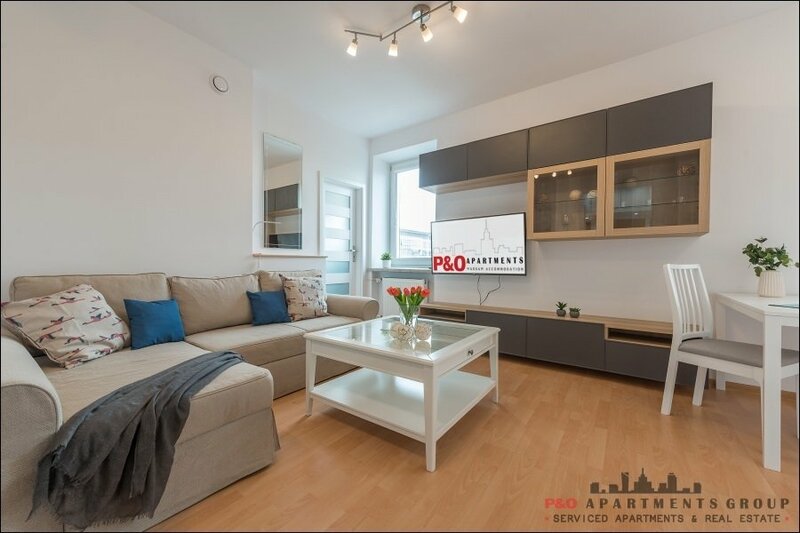 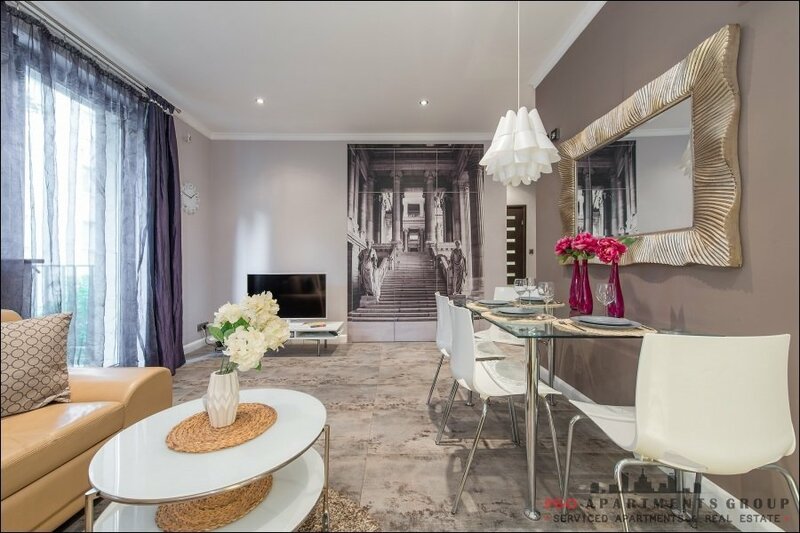 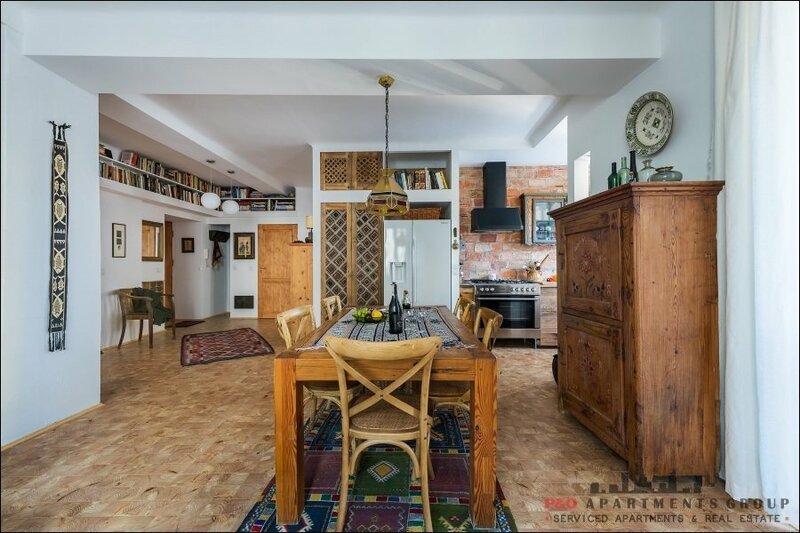 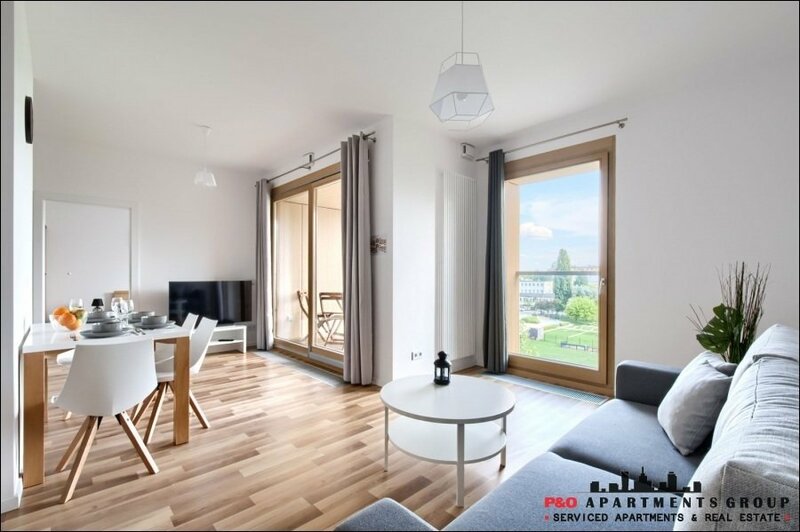 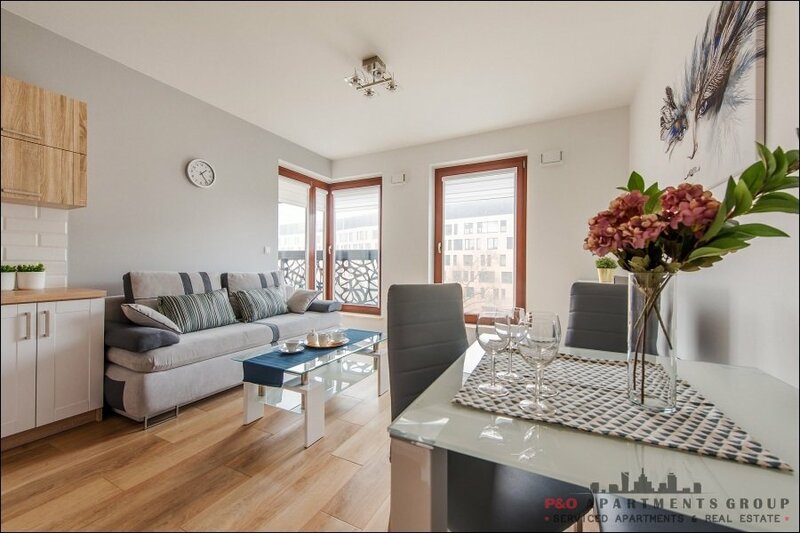 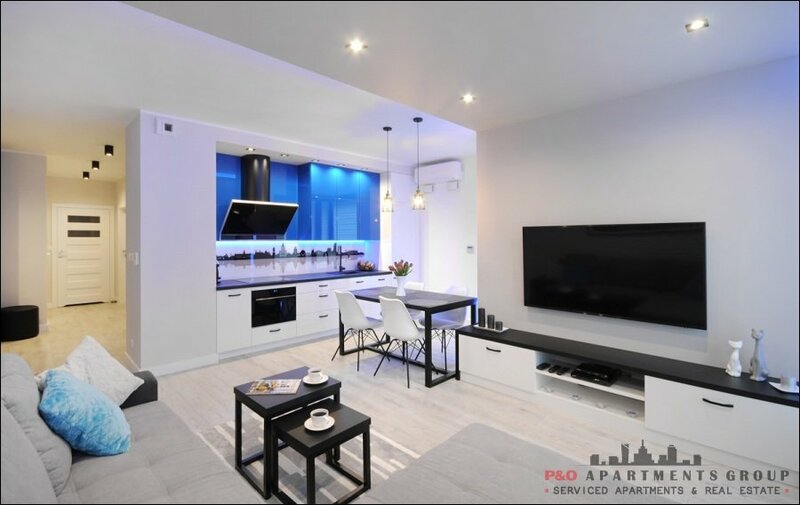 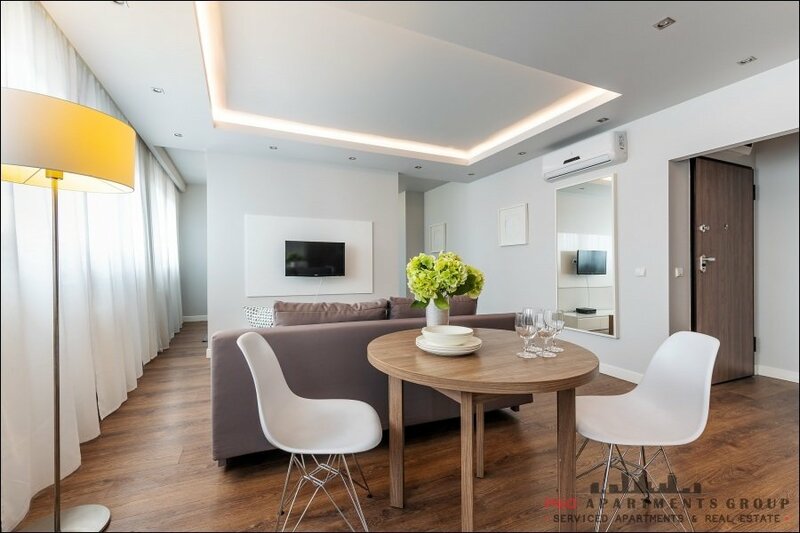 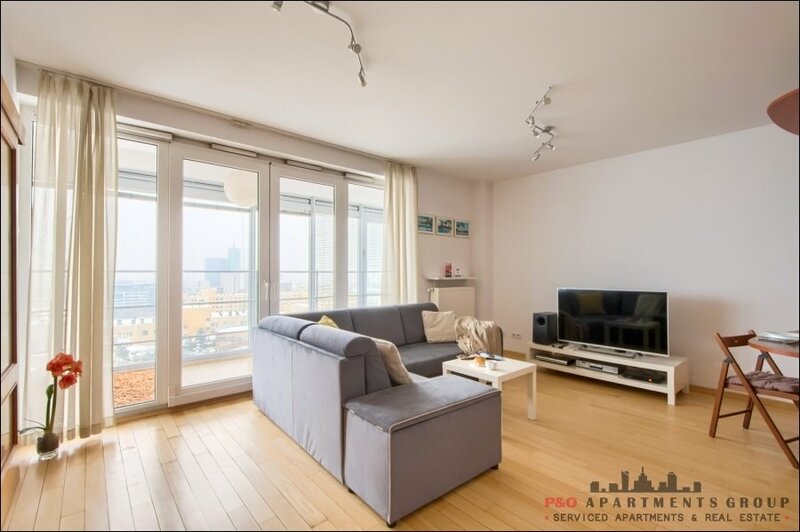 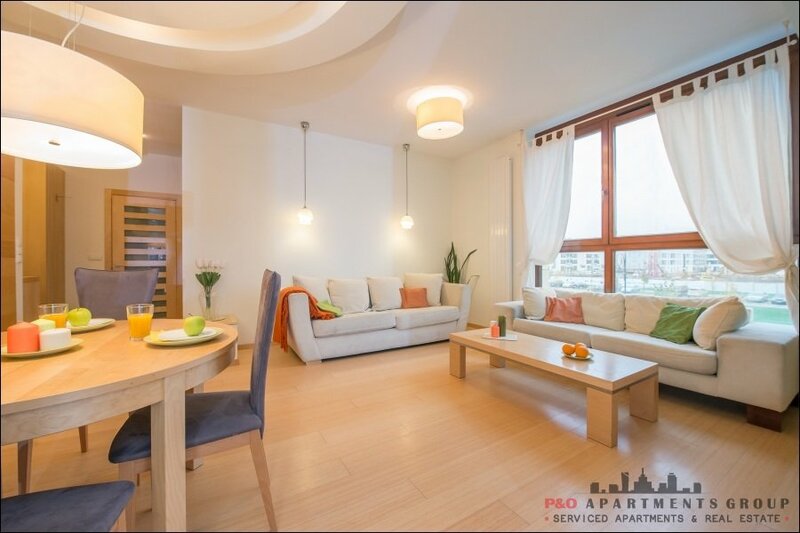 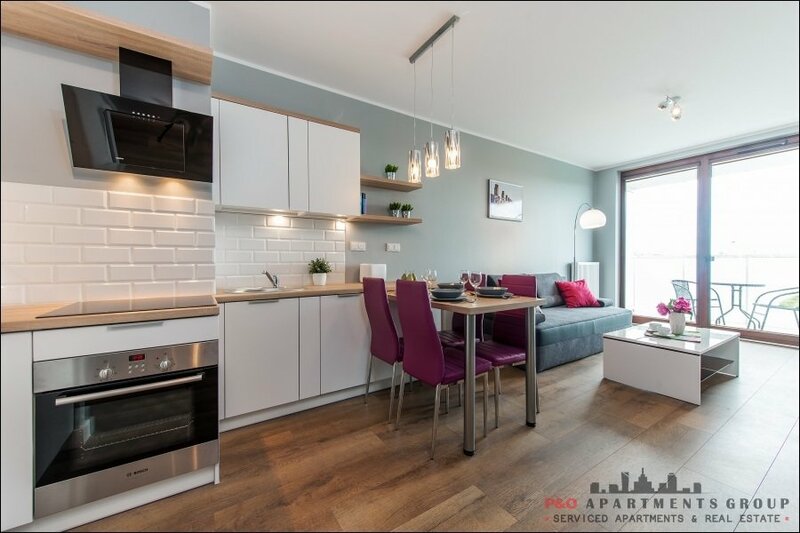 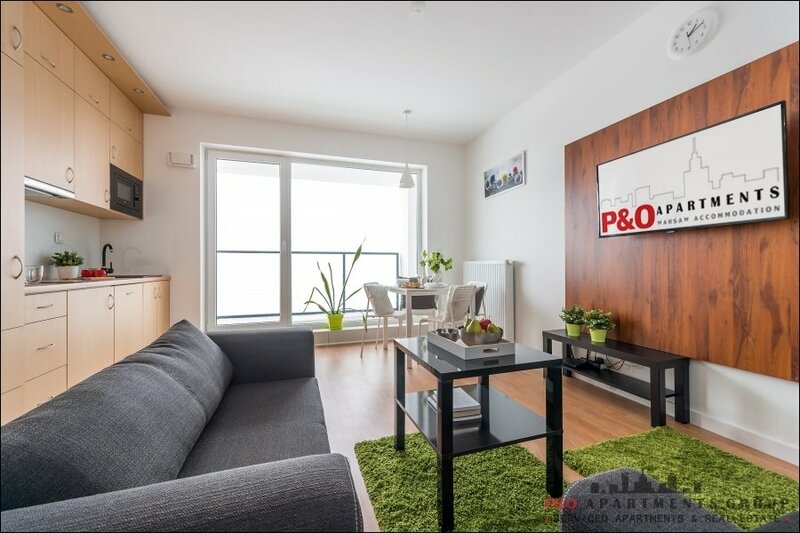 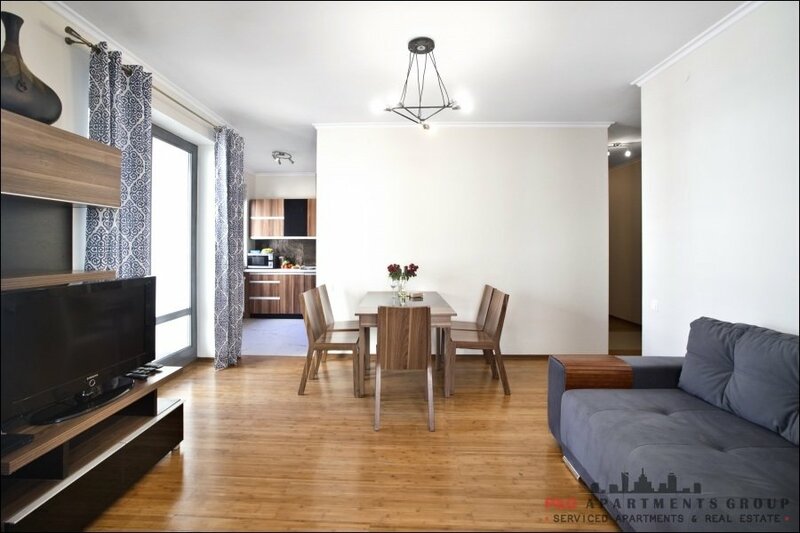 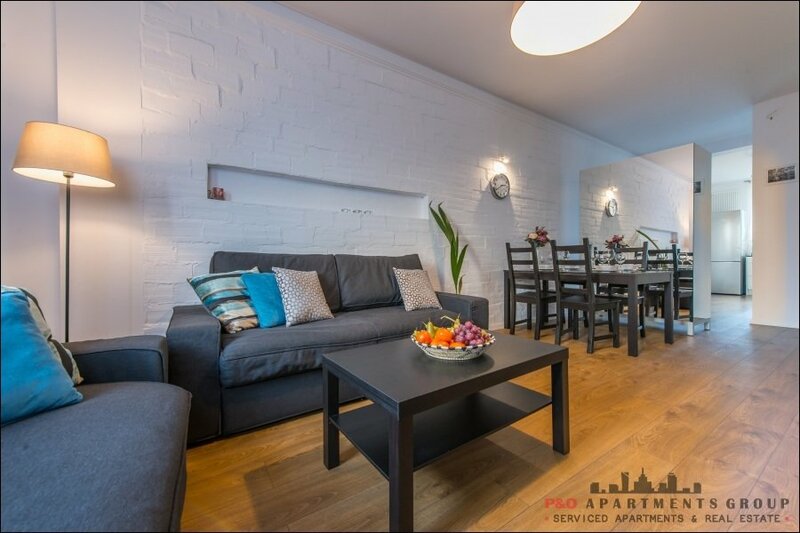 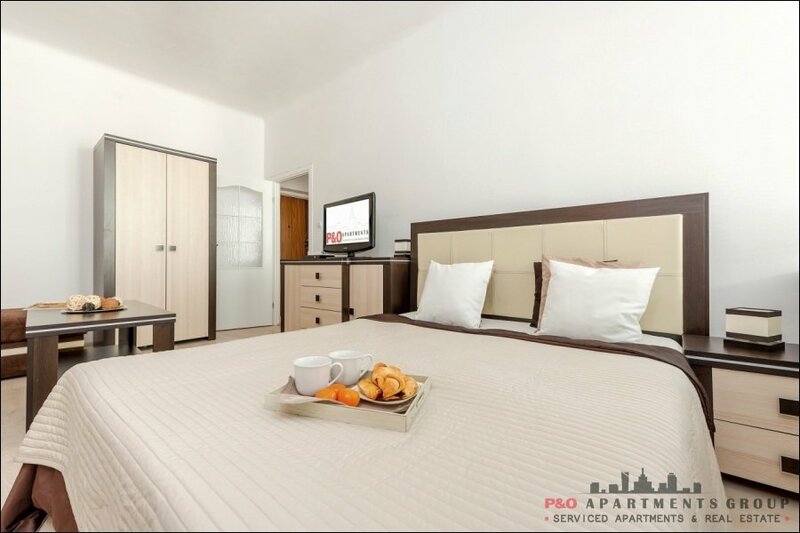 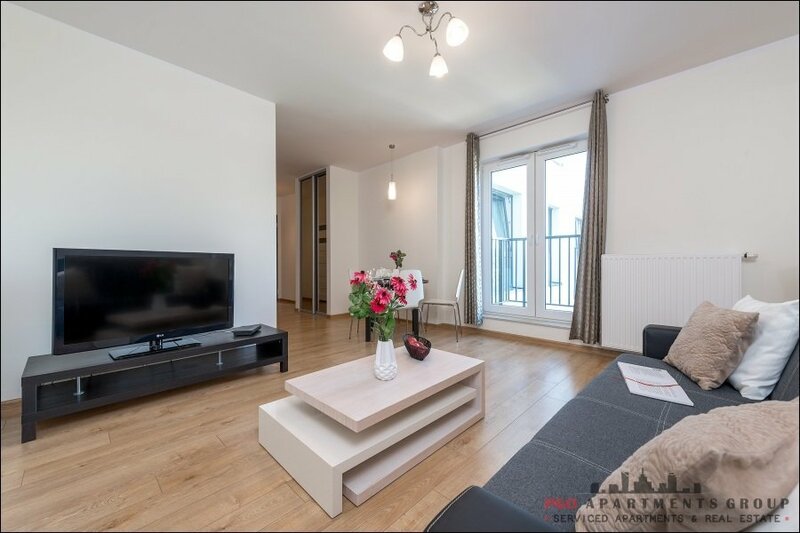 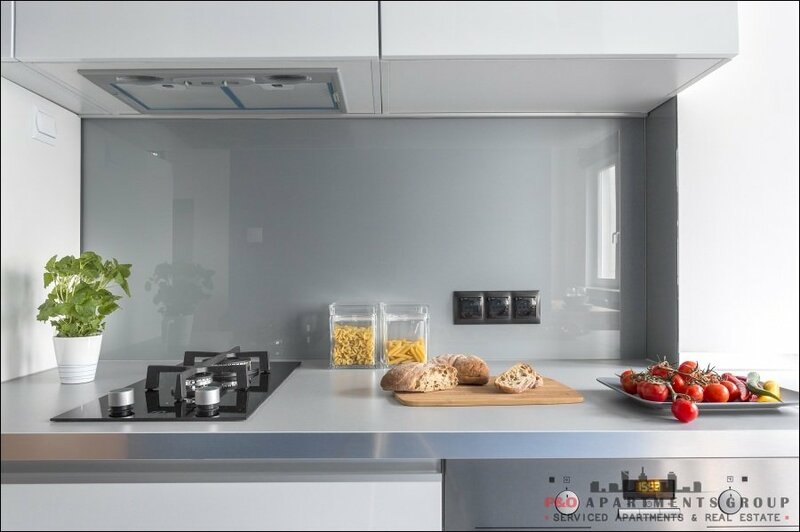 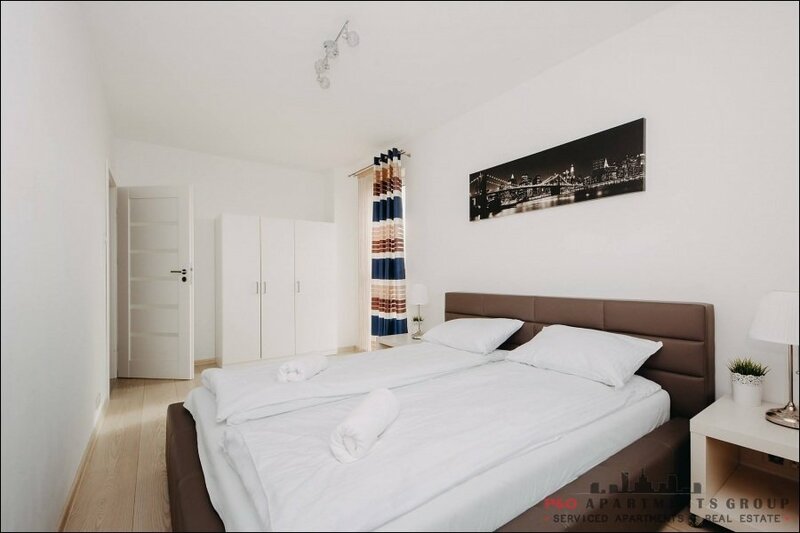 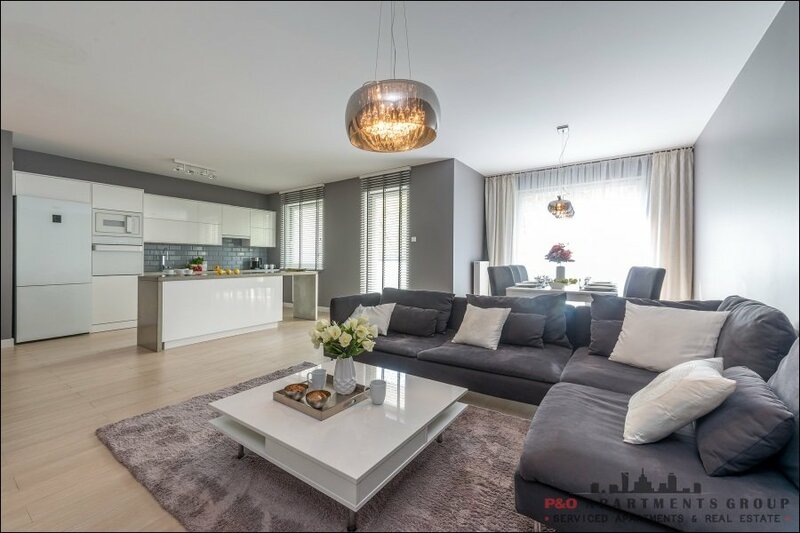 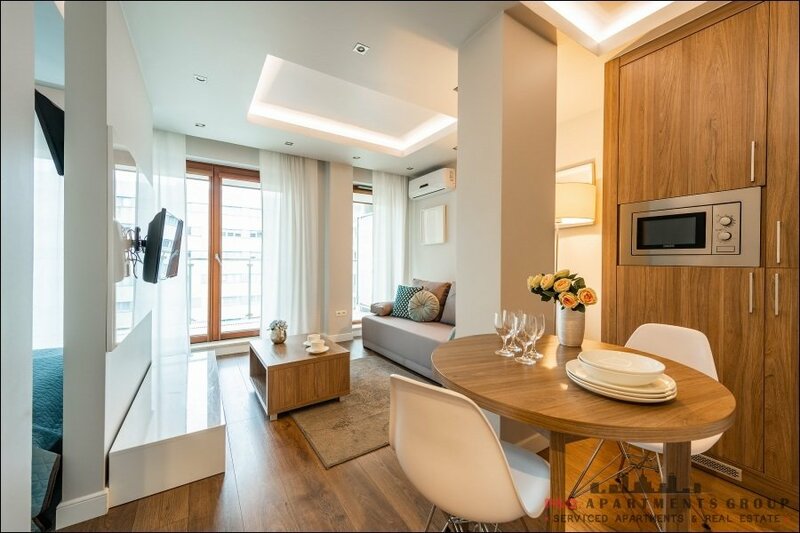 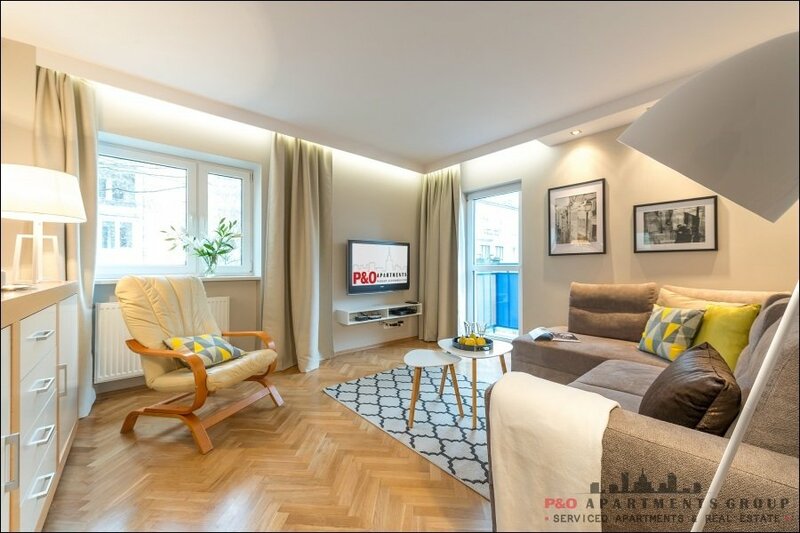 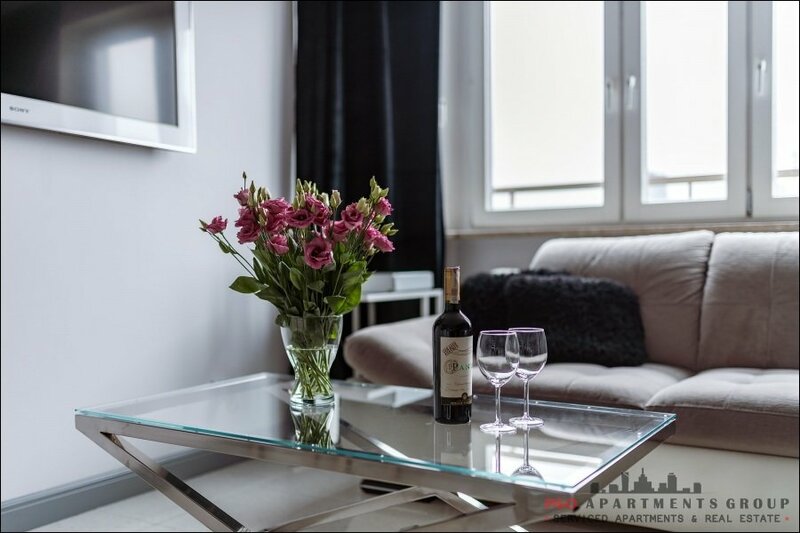 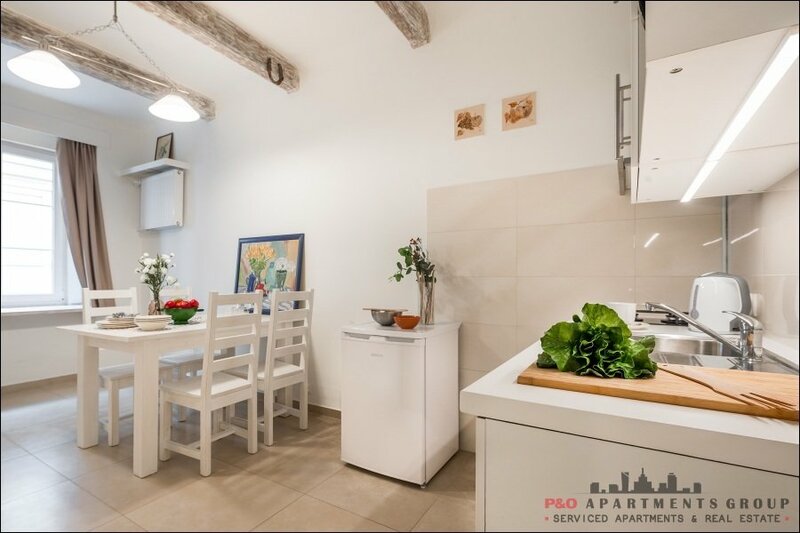 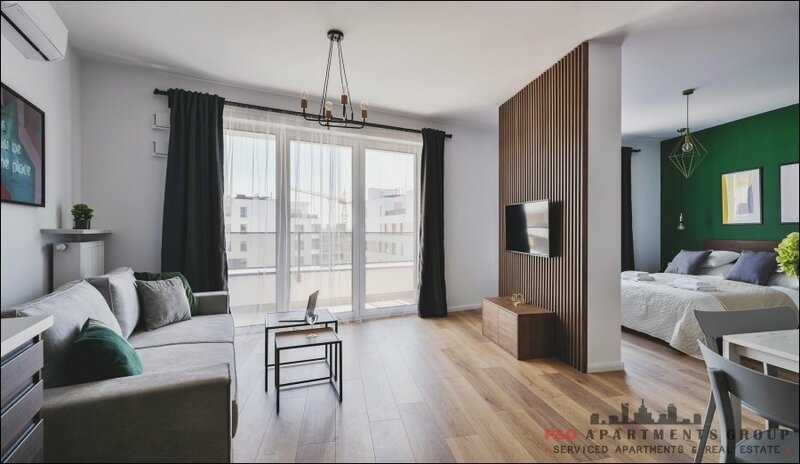 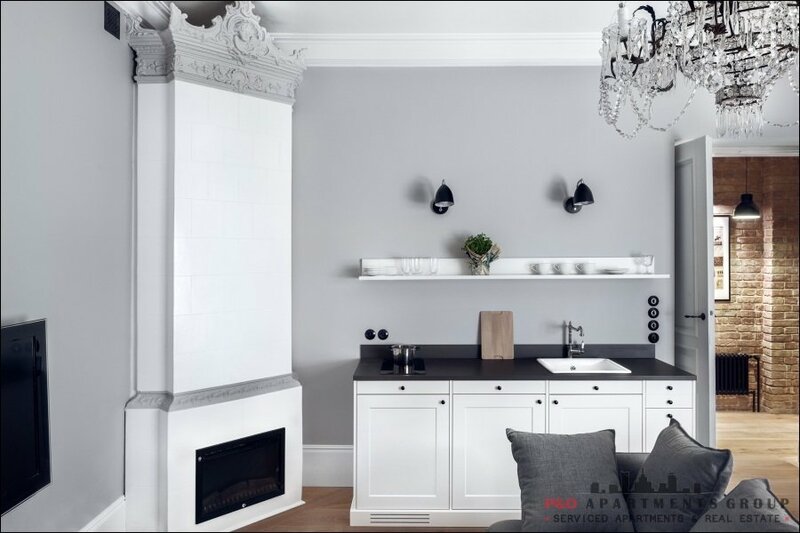 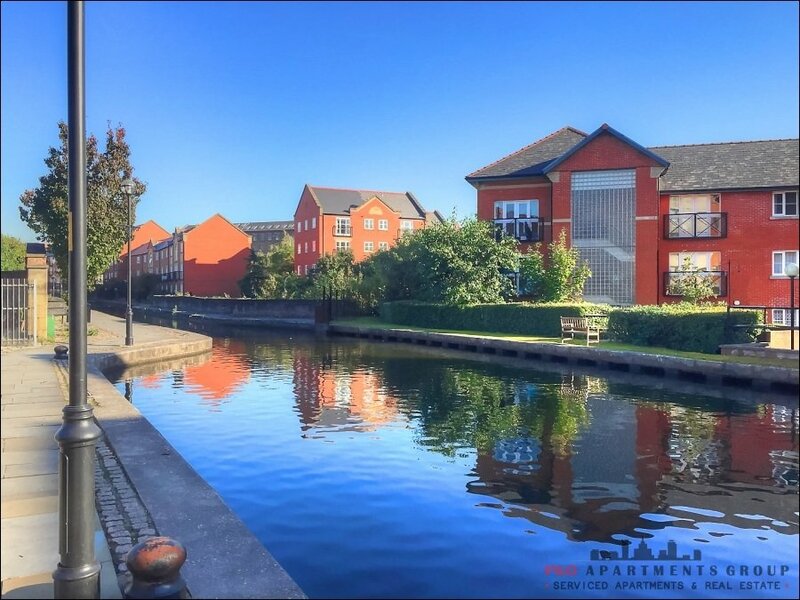 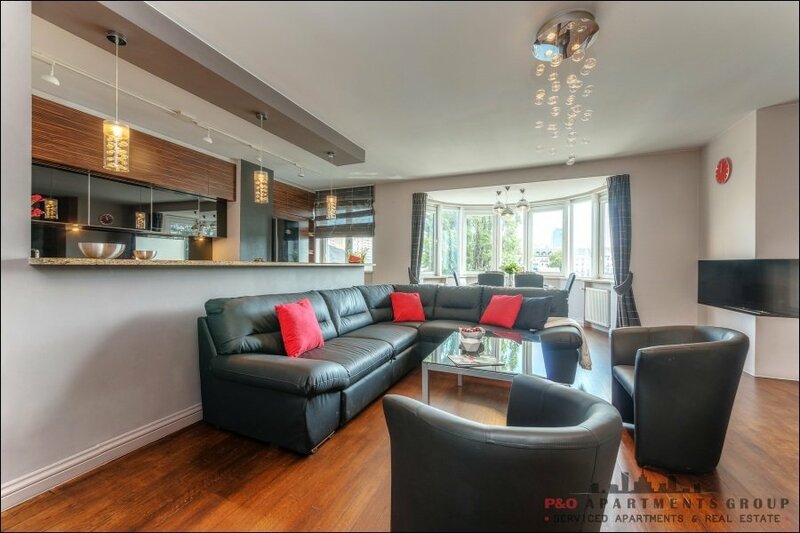 An elegant and modern apartment in a new building with an underground garage and security at Al. 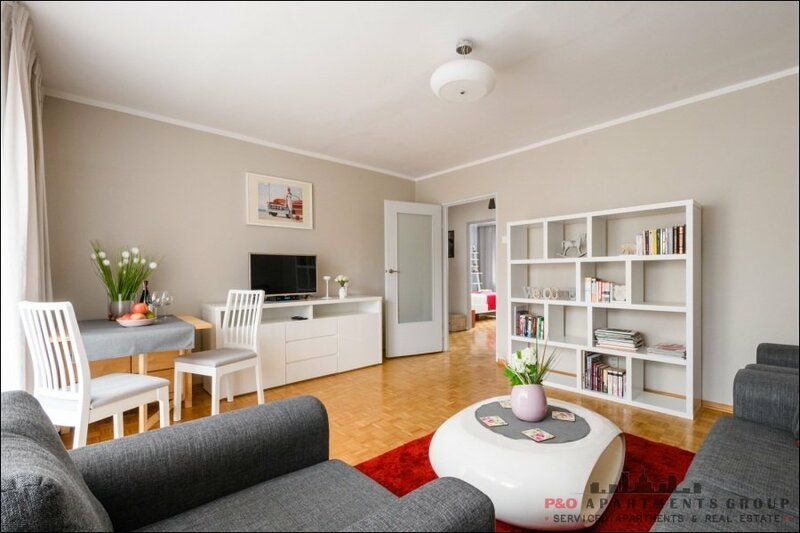 Krakowska. 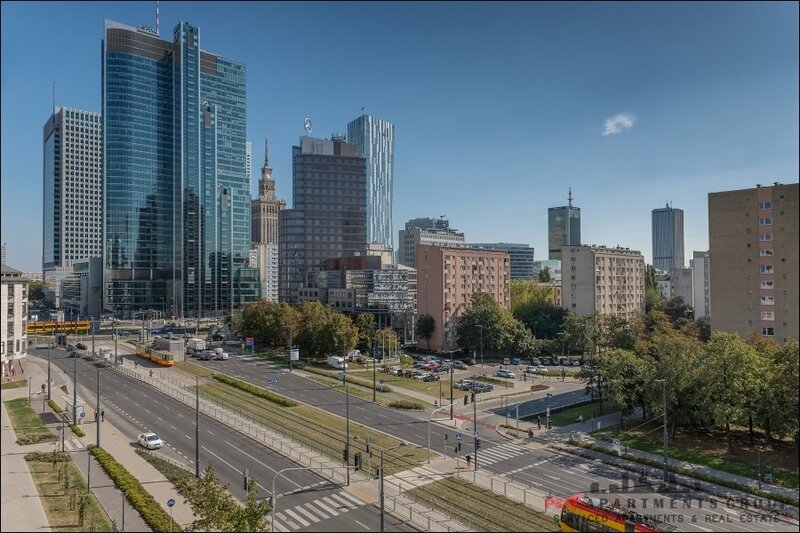 The building is located by the main public transportation routes (tram 9,7, train, bus) quickly connecting with the city center. 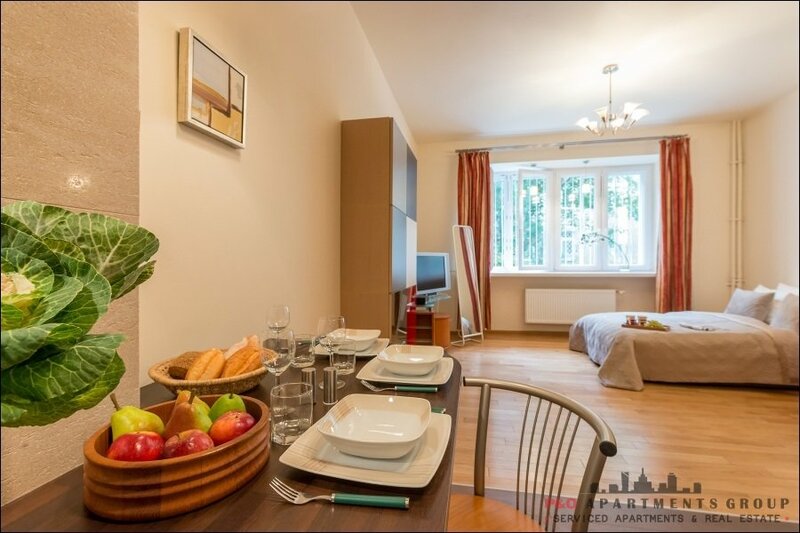 It is also only a short distance away from Warsaw Chopin Airport - it takes approx 7-10 minutes by car (5 km). 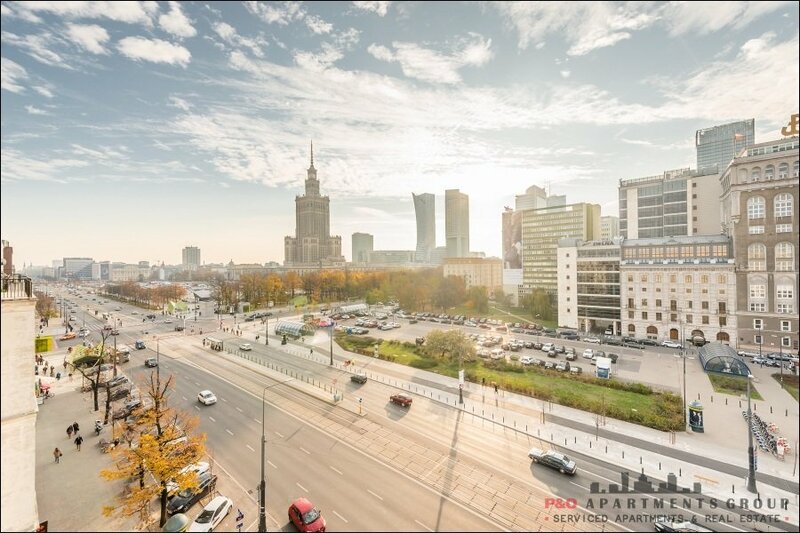 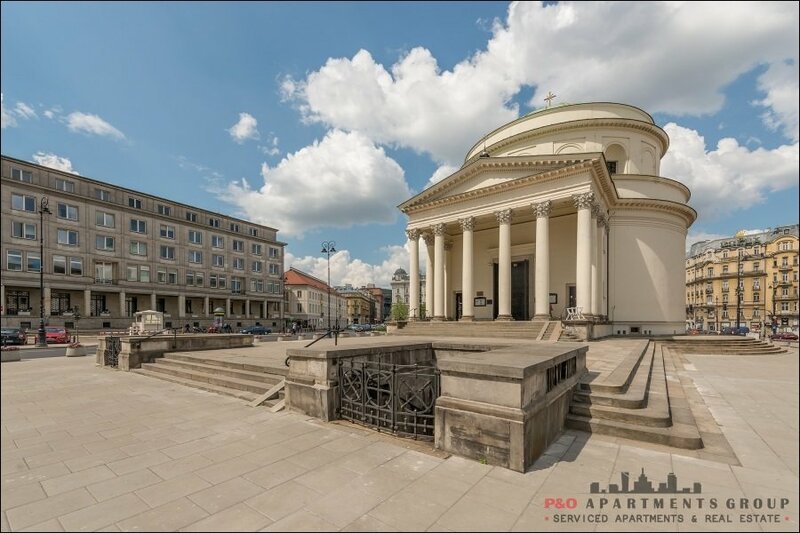 You can also take a train from the closely located railway station Warsaw Rakowiec that will take you directly to the Airport terminal within 10 min. 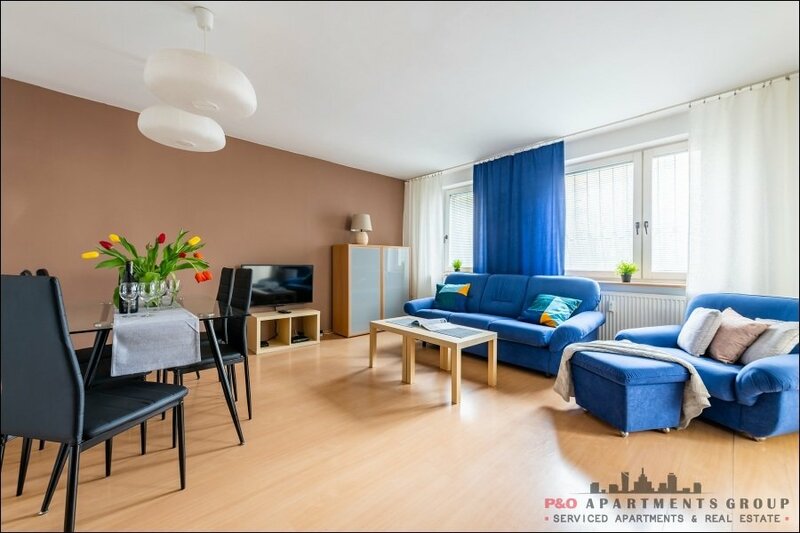 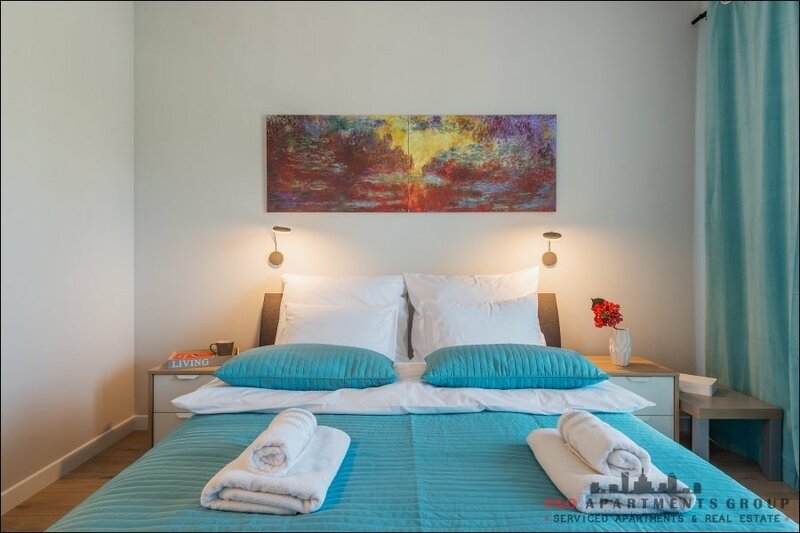 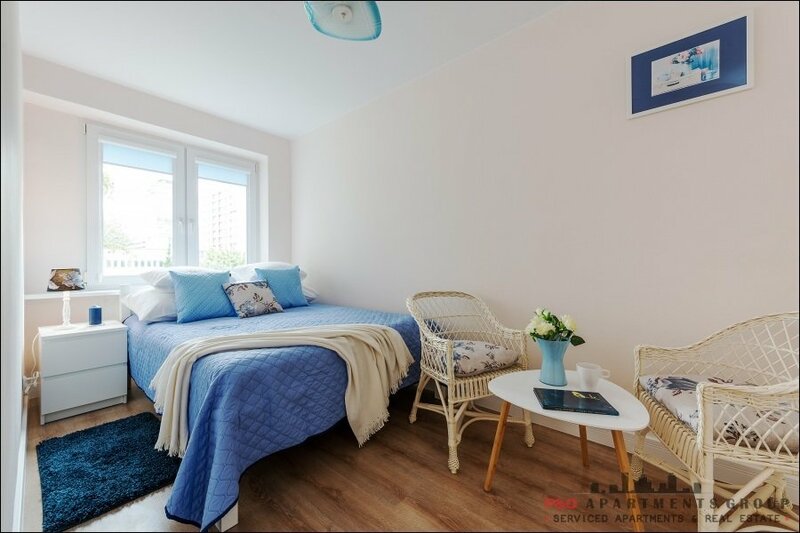 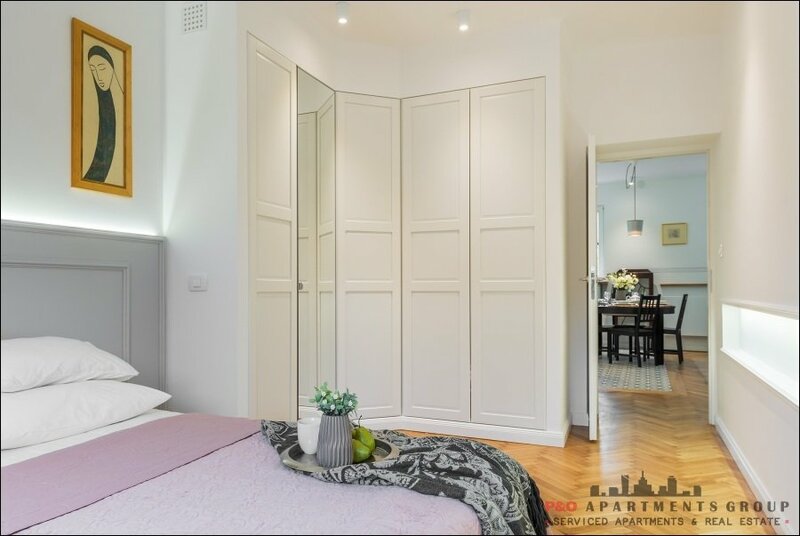 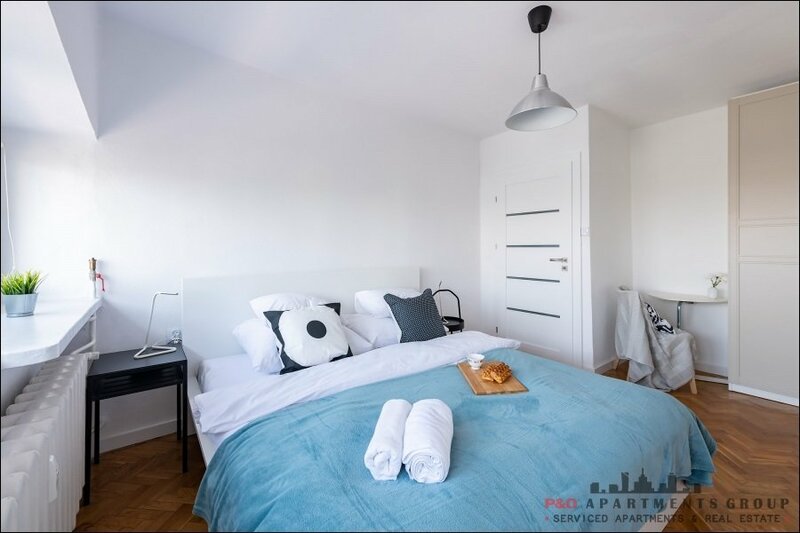 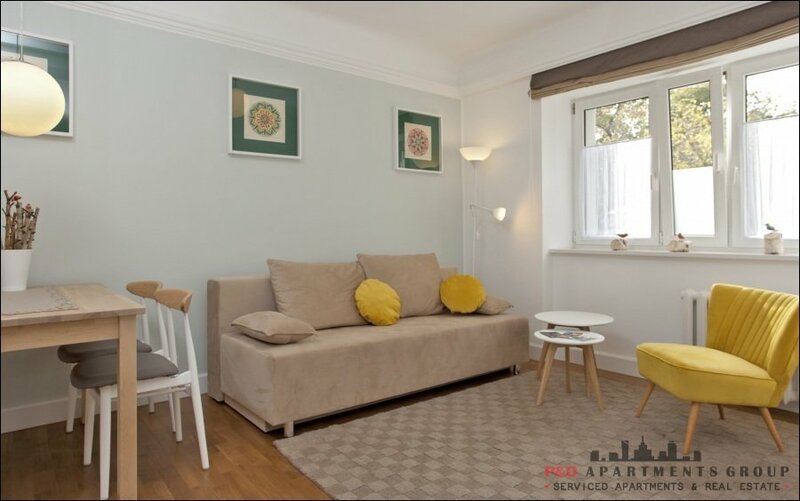 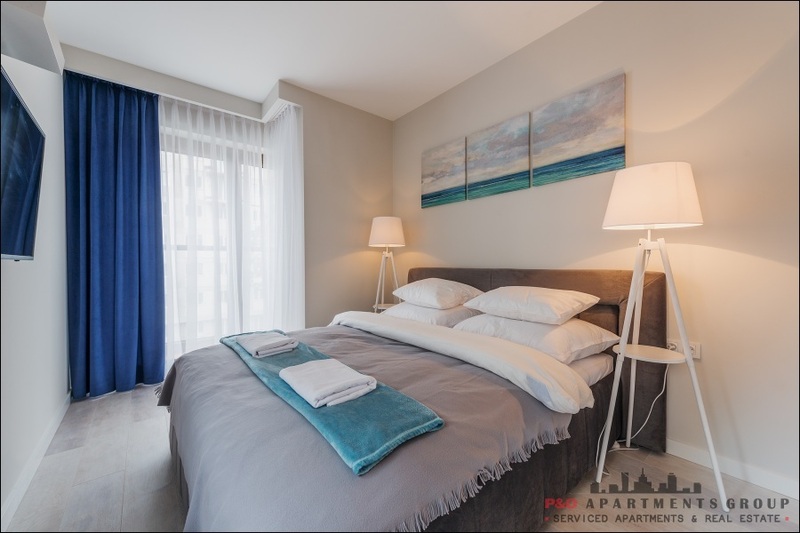 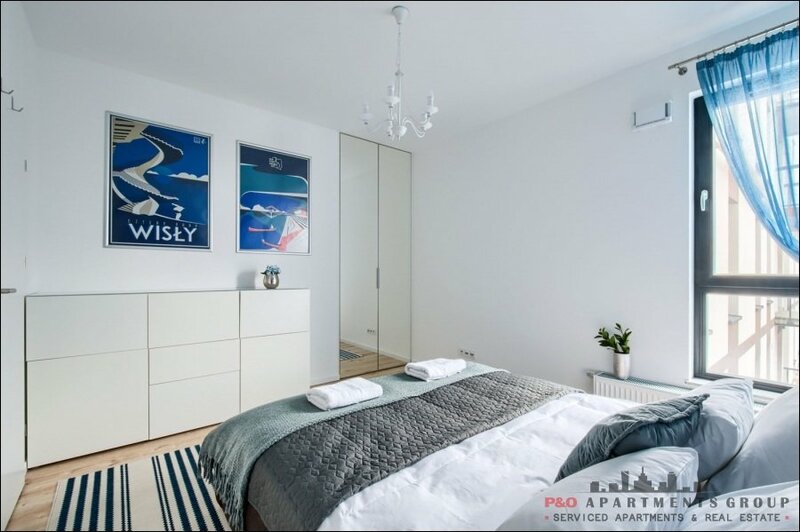 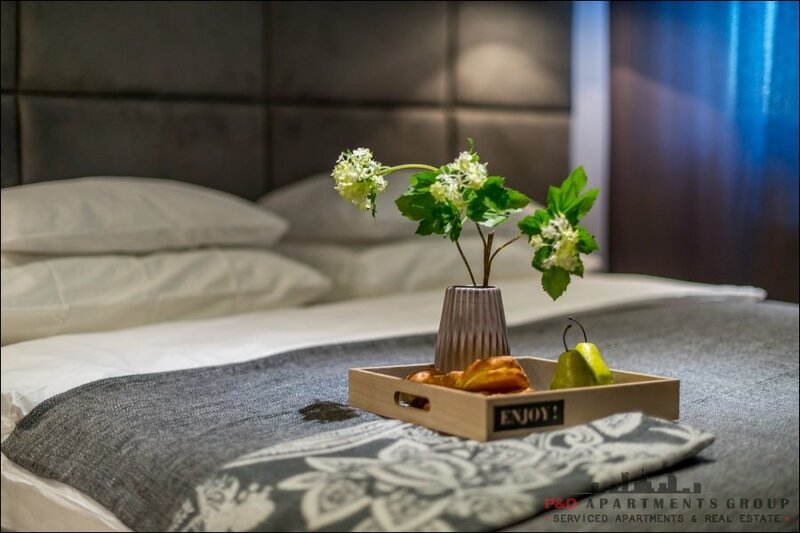 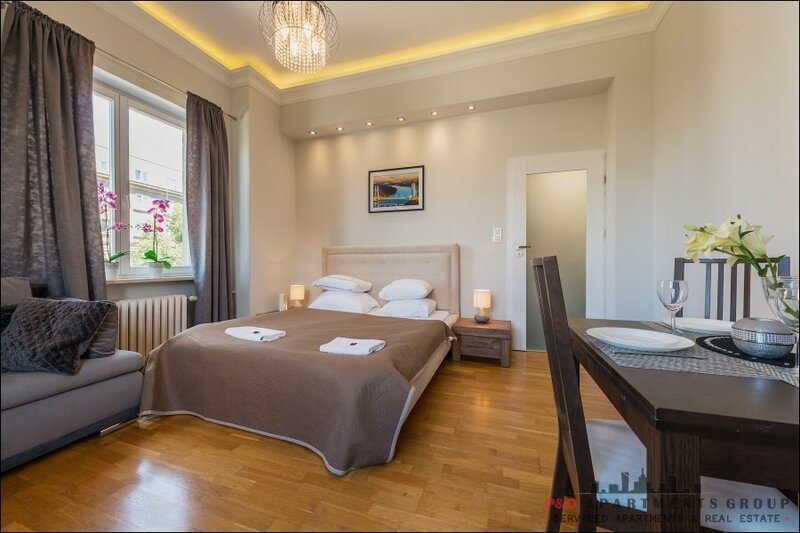 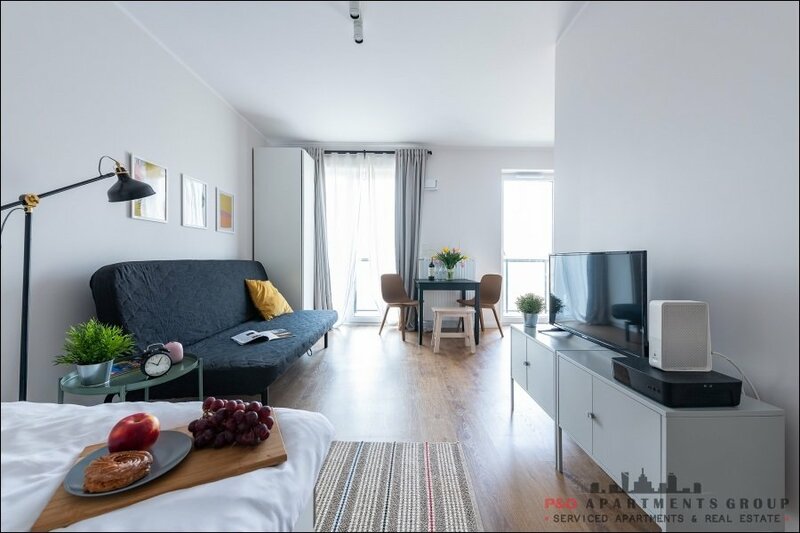 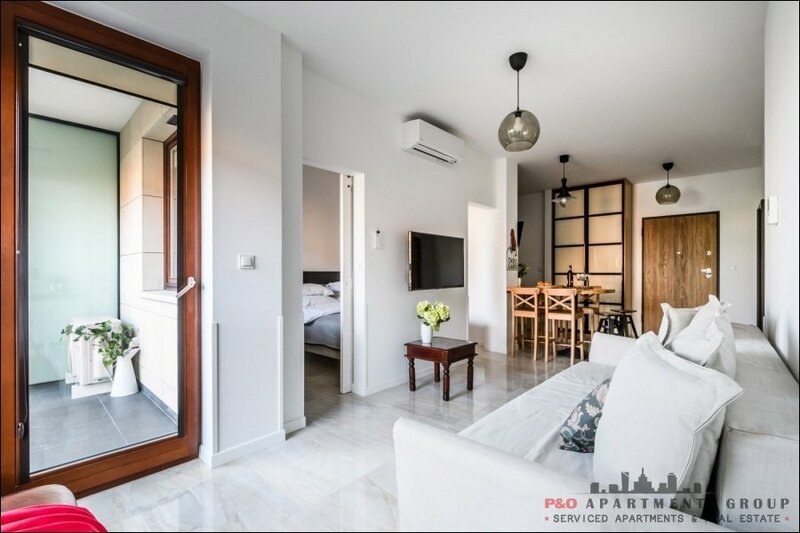 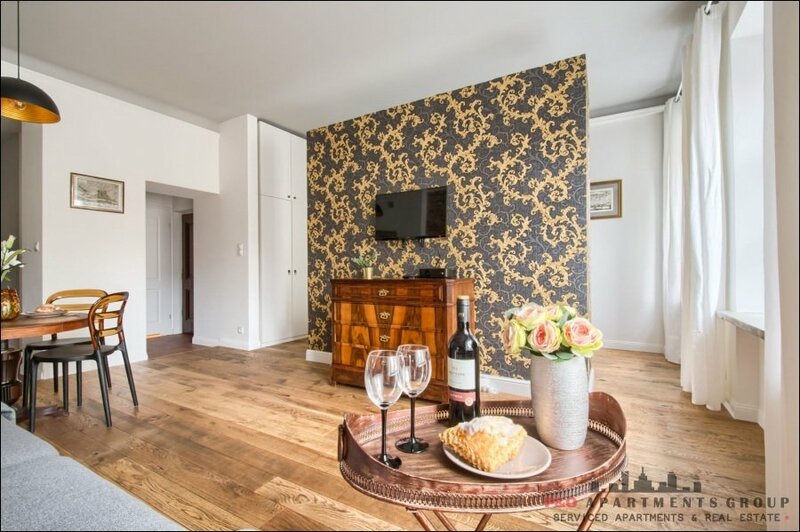 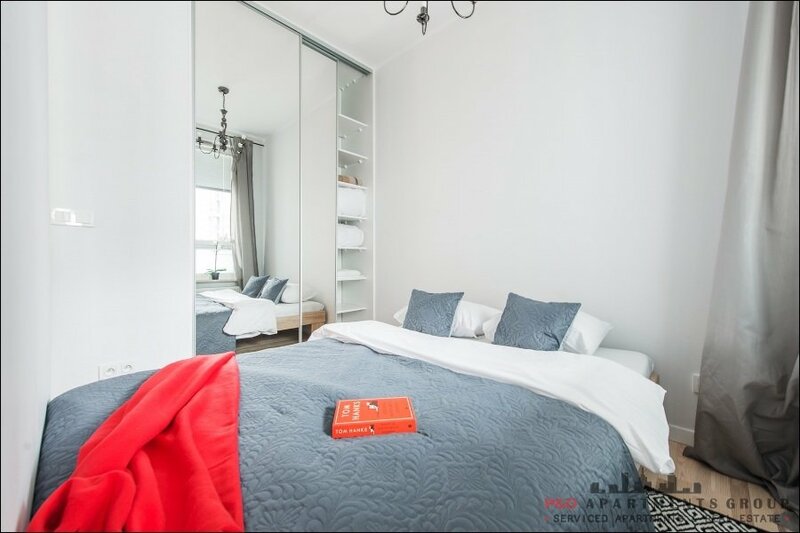 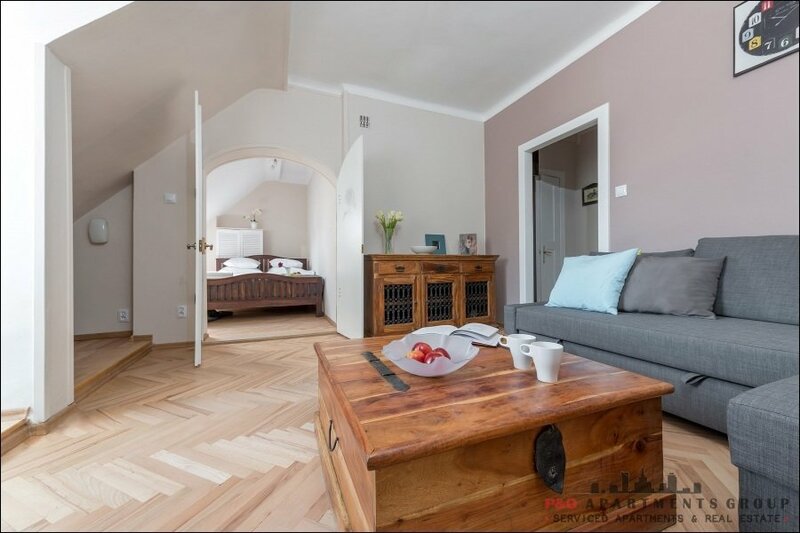 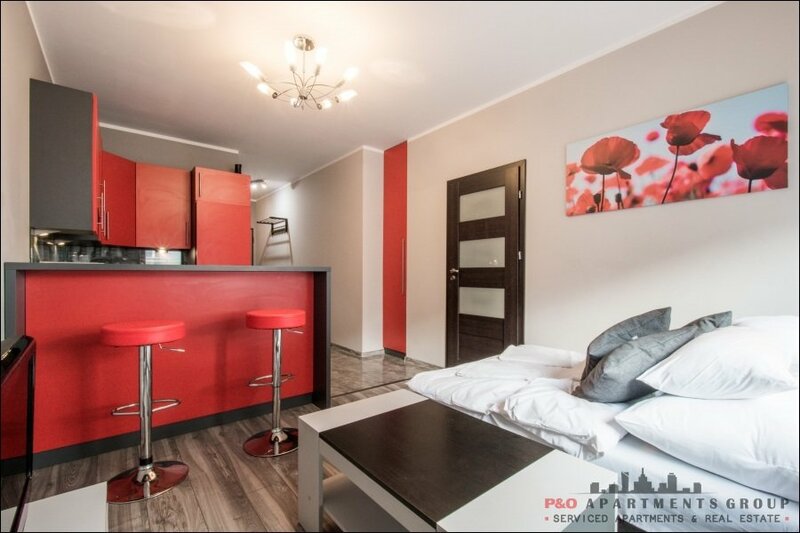 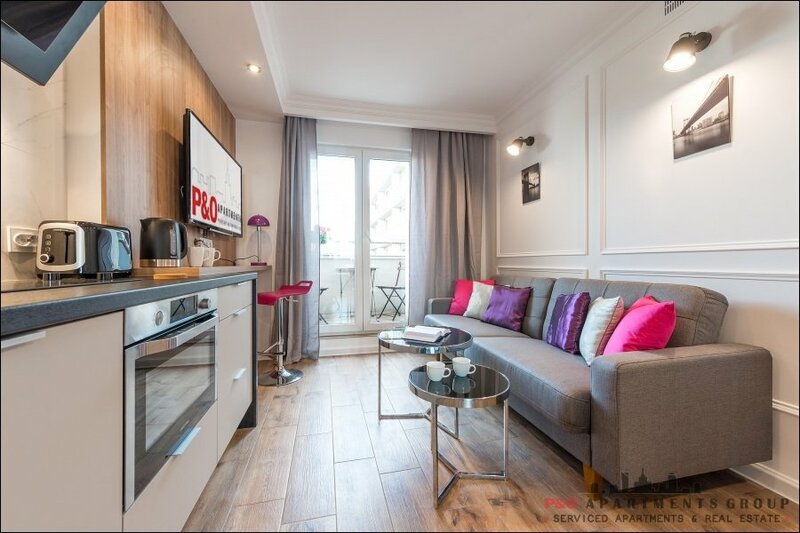 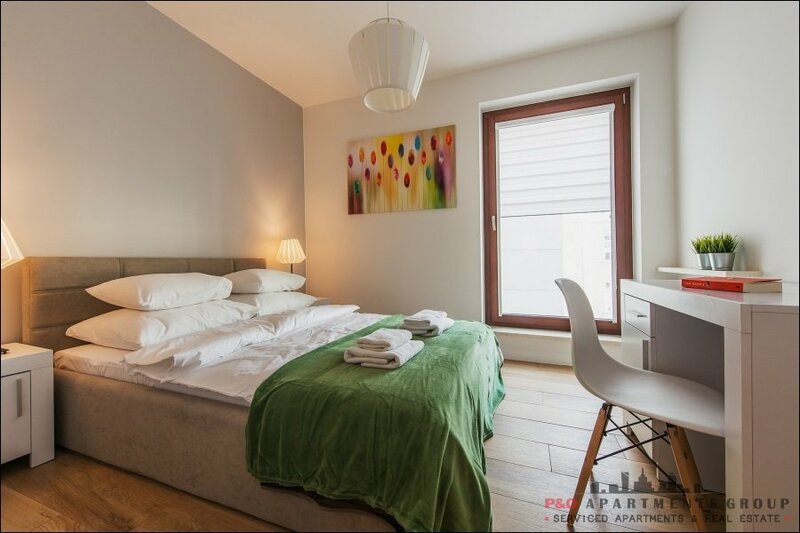 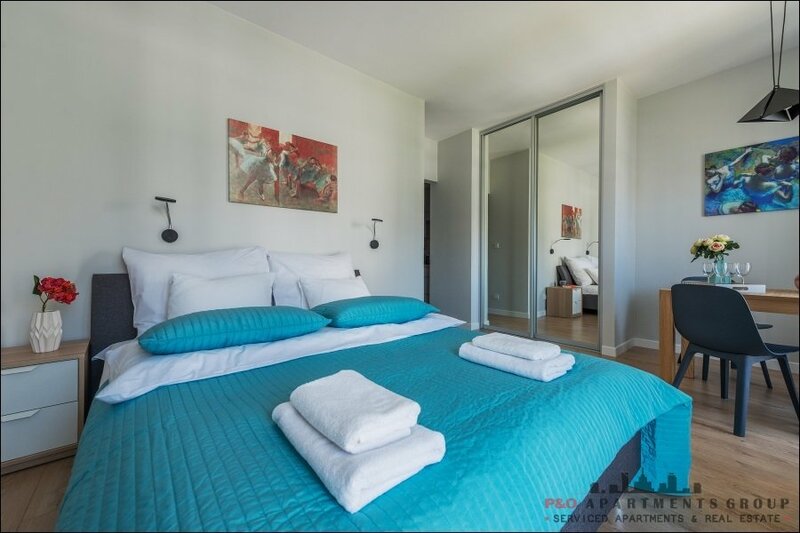 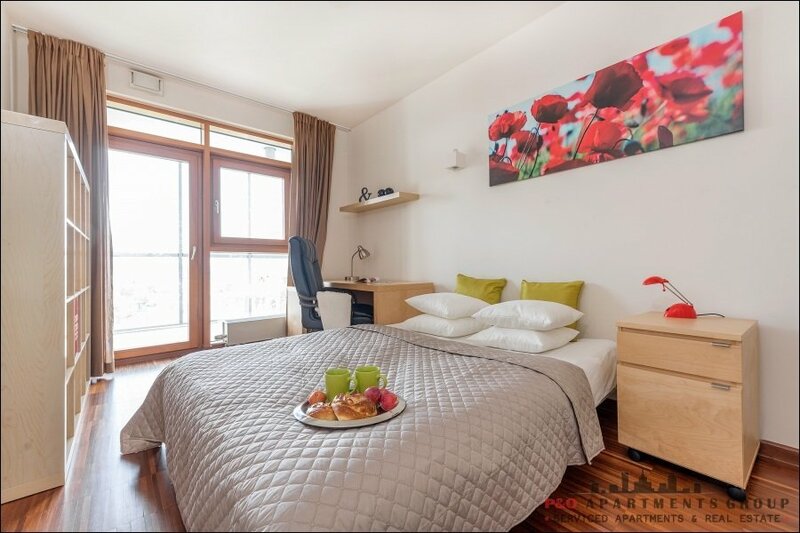 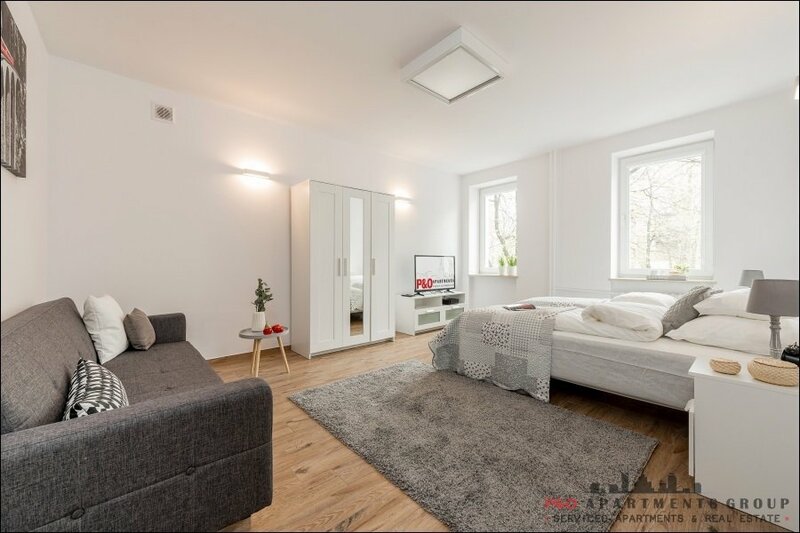 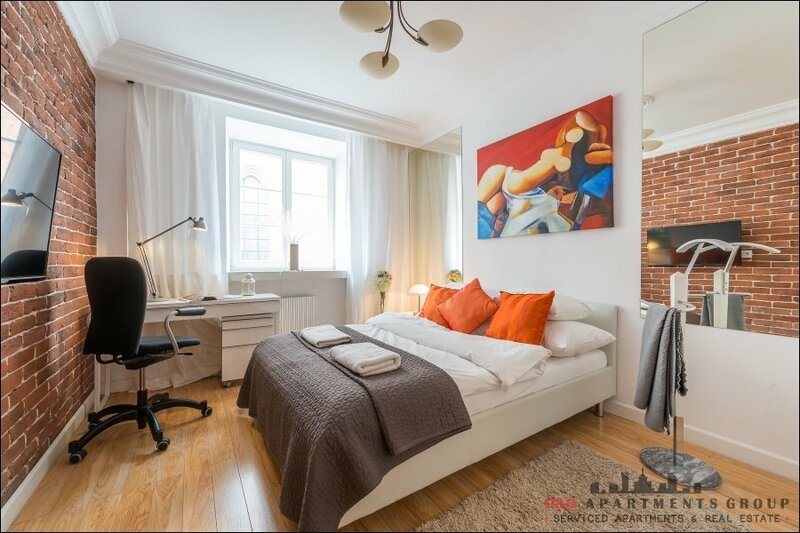 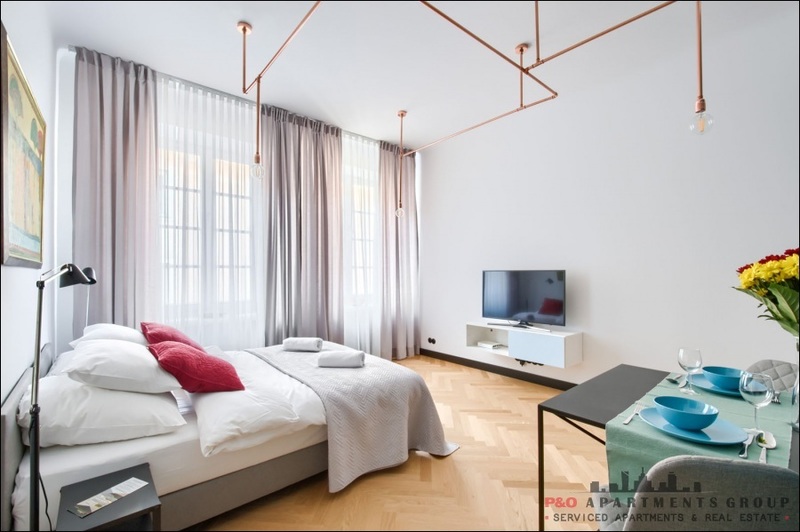 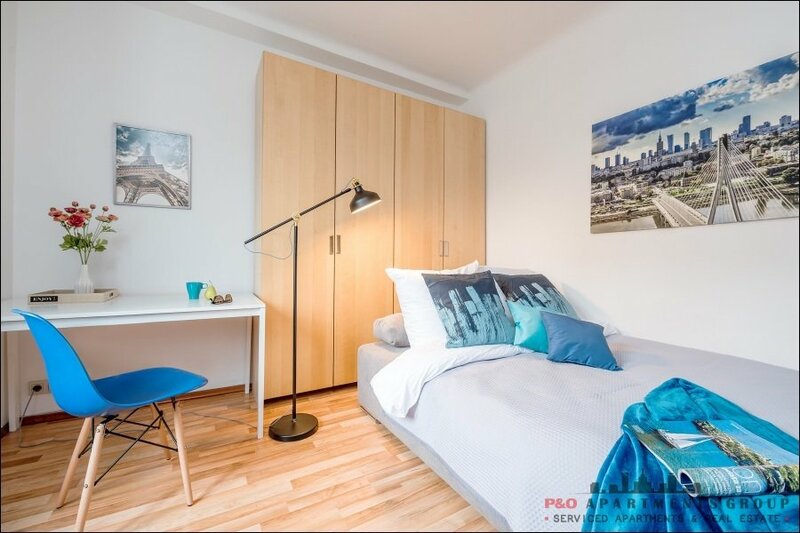 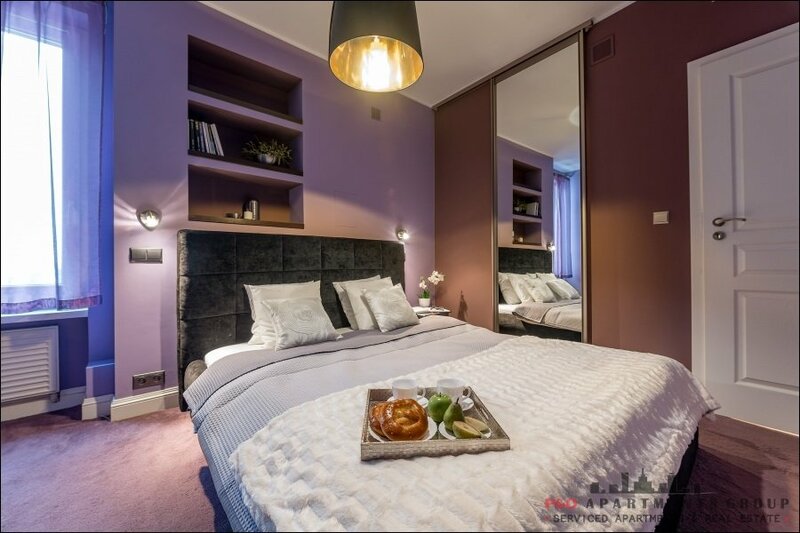 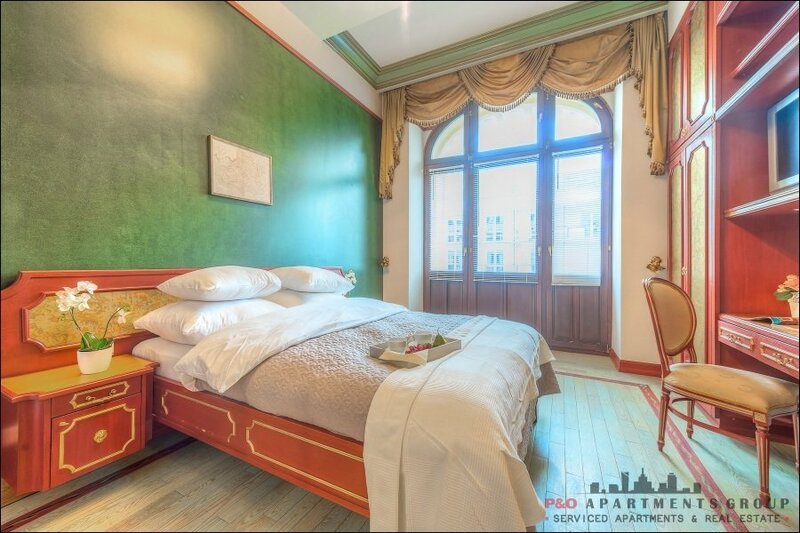 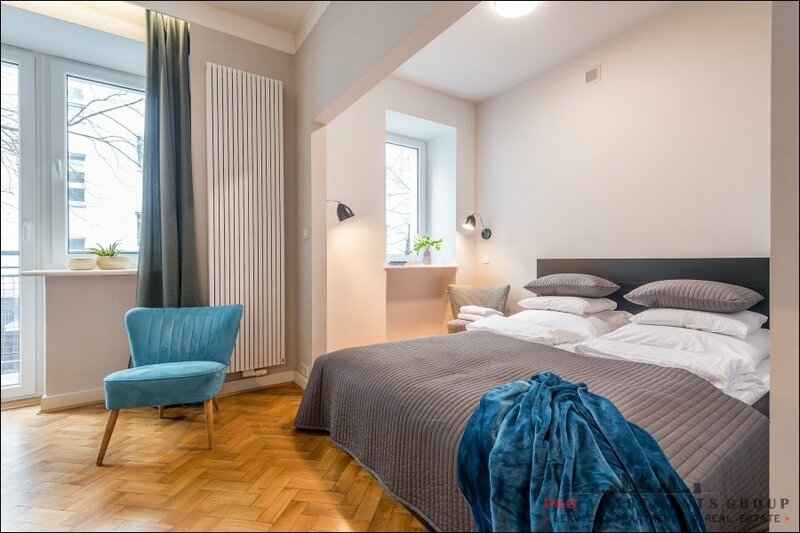 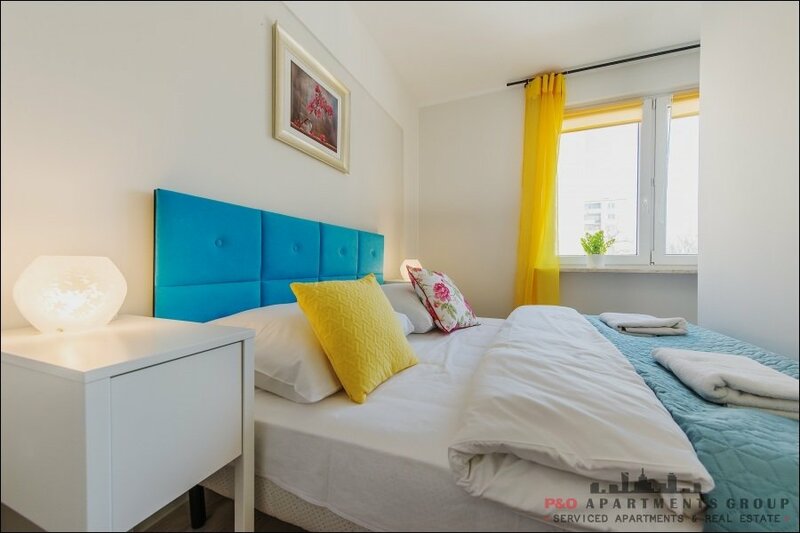 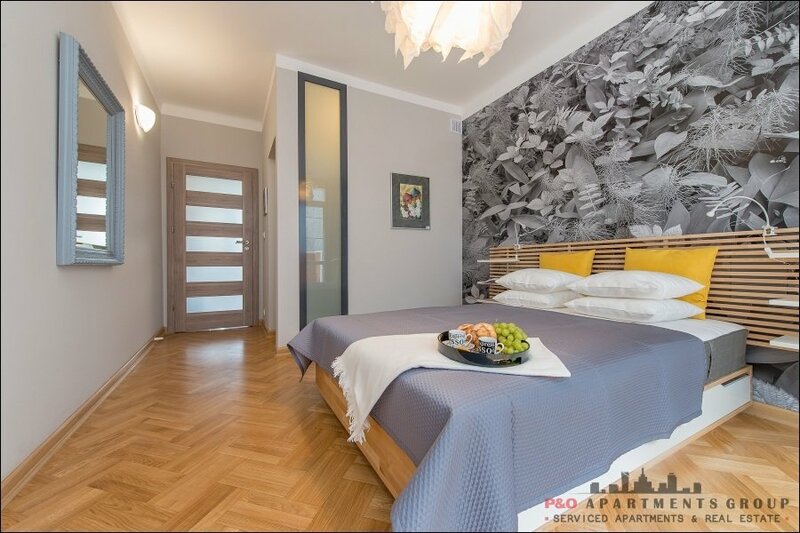 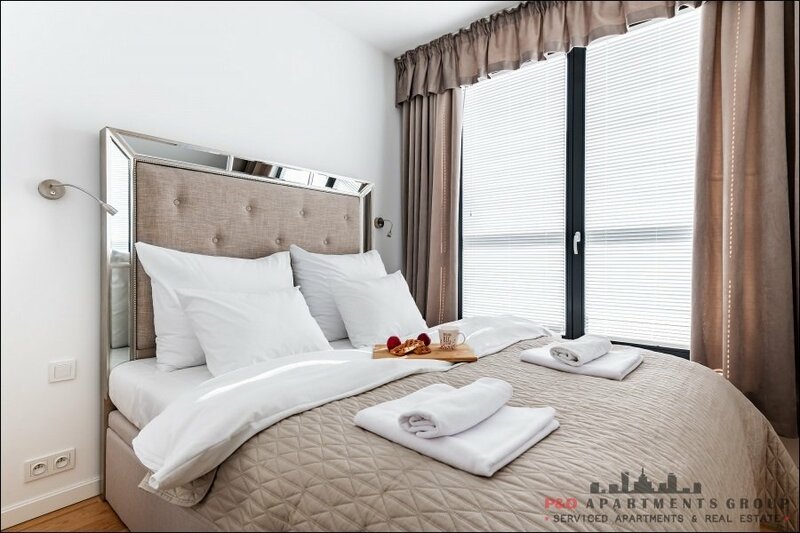 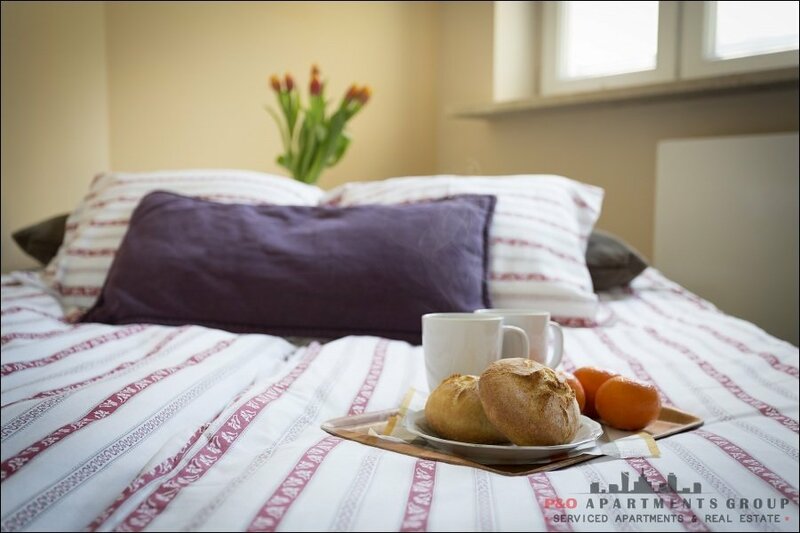 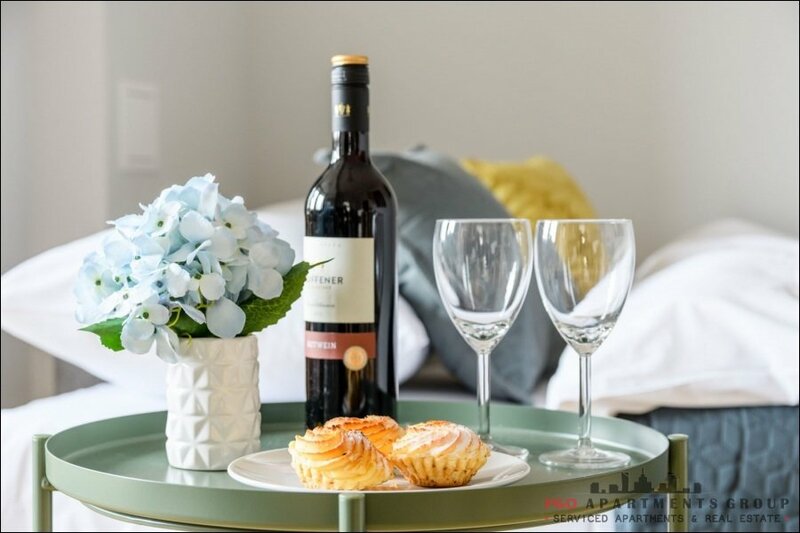 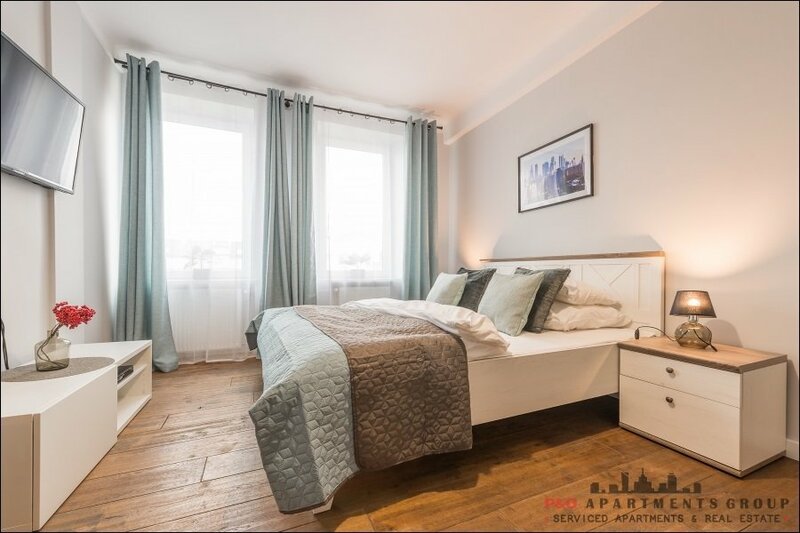 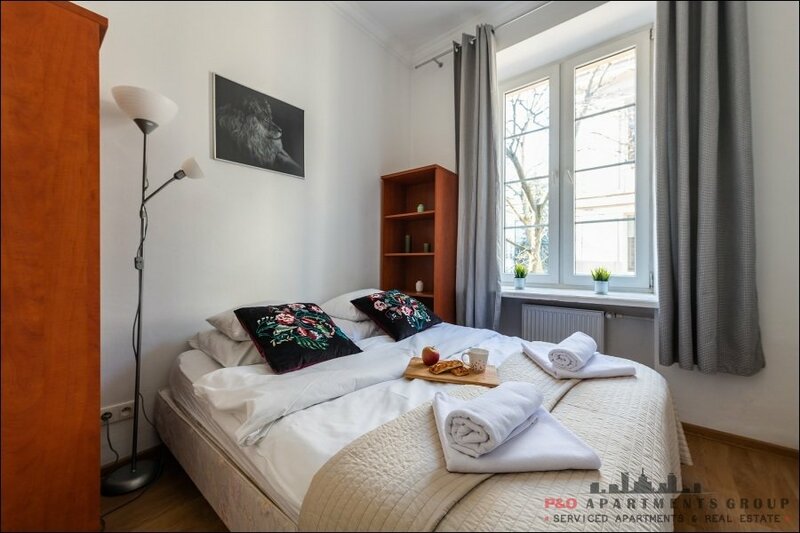 The apartment consists of 1 bedroom, living room with a kitchenette, hall and bathroom: double bed in the bedroom, work desk, spacious wardrobe, in the living room there is a convertible sofa offering space to sleep for 2, table with chairs and a fully equipped kitchenette. 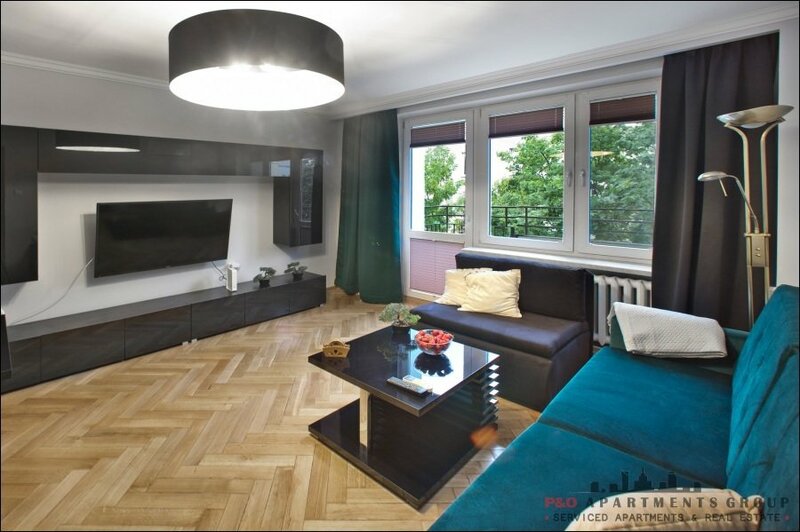 Apartment was carefully decorated in 2014 following a designer's project. 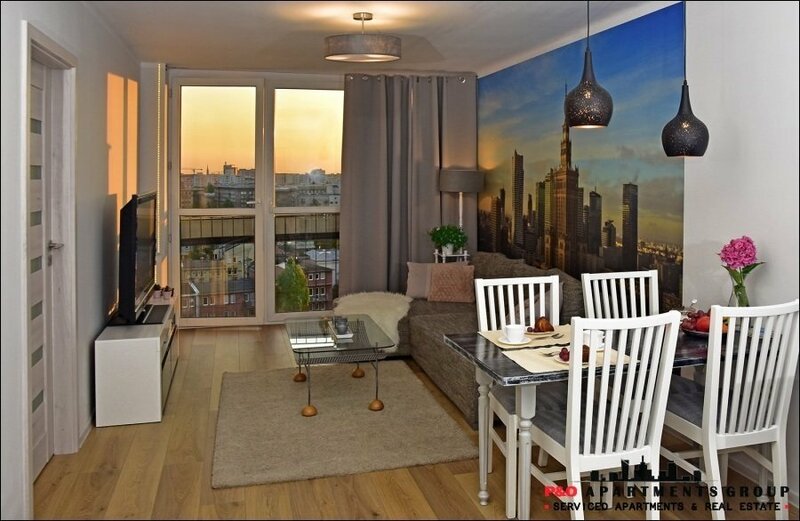 The apartment is located on the 8th floor, which provides a nice view. 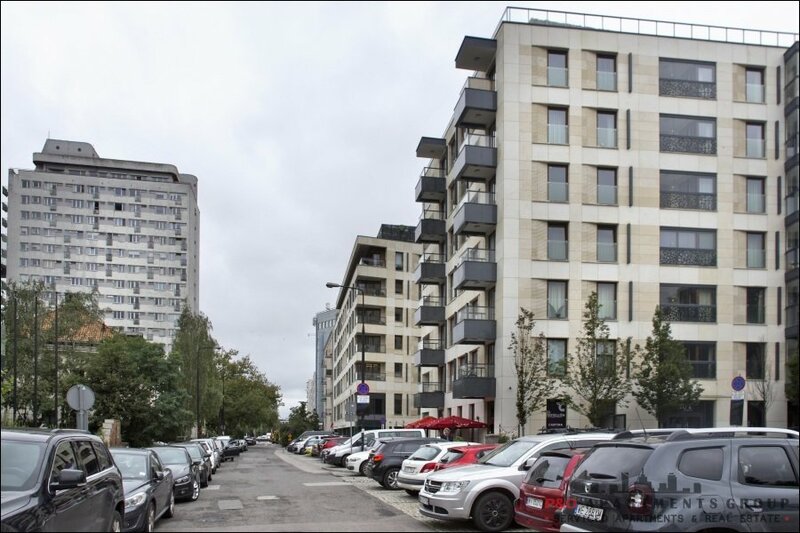 The entrance to the building is from the quiet street Instalatorow, and on the settlement yard there is a playground for children. 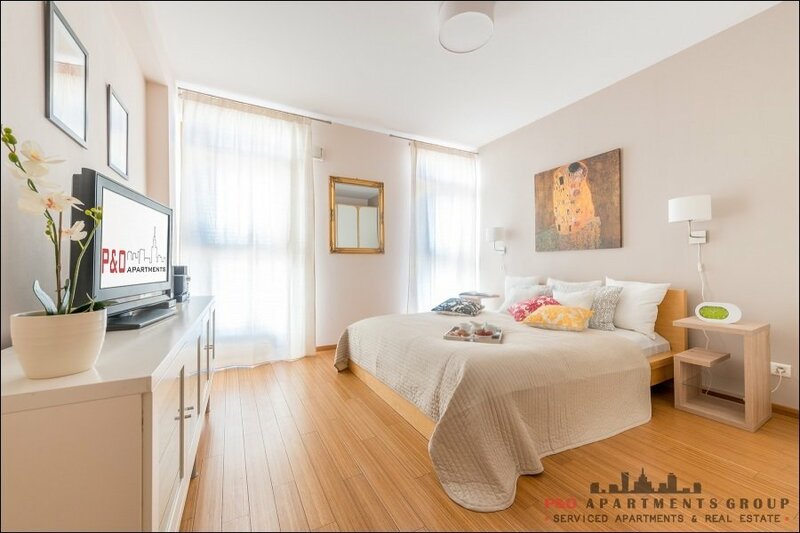 Additional: iron, ironing board, hair dryer, Internet, cable TV, hair wash.